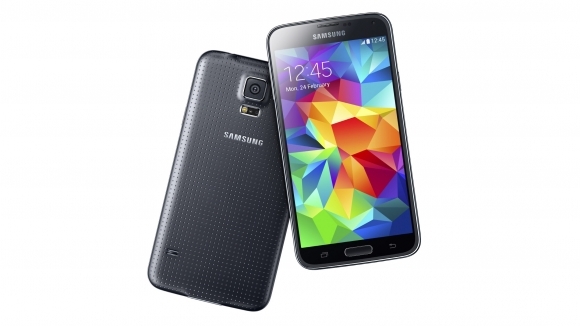 Samsung recently announced its most anticipated new smartphone, the Samsung Galaxy S5. Once released, Samsung Galaxy S5 will probably set new benchmarks for the current smartphones. The only issue with Samsung Galaxy S5 will be its price which is expected to be on the higher end of all available Android smartphones today. Even if you are not planning to buy the Samsung Galaxy S5 or if you simply can’t afford it, you can still enjoy the look and feel of Samsung Galaxy S5 on your current Android smartphone by using Samsung Galaxy S5 wallpapers and Samsung Galaxy S5 theme packs. But note that currently all the Samsung Galaxy S5 wallpapers and themes available on Google play store are fake. They can also be potential security threat to your Android device (check out Android Security and Antivirus Apps to stay safe). So, if you plan to use any of Samsung Galaxy S5 theme pack, then wait for genuine Android apps for that. You can subscribe to Zoopable and we will send you an email once they are available. For now, we have found two real Samsung Galaxy S5 Wallpapers in the wild. You can see a preview of both the wallpapers in the image below. You can download these free Samsung Galaxy S5 Wallpapers here. You will get a zip file which you can extract to get the wallpaper files. You can then copy them on your Android phone or tablet and then set them as wallpaper. To set a new wallpaper, simply go to your the Gallery in your Android device, select the wallpaper, press and hold it to set it as wallpaper (See the tutorial on how to set wallpaper on Android details). Note that these are normal wallpapers and not real wallpapers, so no matter which Android device you have, you can still use them. Once Samsung Galaxy S5 is released, we will update this article to add all the stock wallpapers of Samsung Galaxy S5, so make sure to subscribe to Zoopable to get an instant alert!